Heatupstlouis.org, (now going into its 18th year of operations) embarked on its current winter 2017/18 heating season, with a 58% increase of requests for assistance for utility help, from Illinois and Missouri seniors, disabled and needy families, according to Rev. Earl E. Nance, Jr., chair emeritus and Pamela Rice Walker, board president of Heatupstlouis.org. Unfortunately, all those funds donated during the Gift of Warmth holiday period have been distributed; including another $725,000 in grants to qualified residents, from fourth quarter of 2017. Hundreds of crew members from the St. Louis area local Hardee’s franchisee Pioneer Restaurants LLC will help Heatupstlouis.org collect funds in money-aprons and canisters; and 100% sales of the Sausage ‘N Egg and Egg biscuit sandwiches the morning of Friday, February 9, ONLY will go Heatupstlouis.org and its consortium social service partners. Also due to this winter’s bitter cold, Hardee’s will extend the canister drive in all its 55 MO/IL participating restaurants that weekend of February 10-11. About 675 volunteers from area businesses, social services agencies, first-responders, elected officials, media, health specialists and community leaders will accept donation tips from customers at the menu boards, drive-thrus and in the dining rooms of area participating Hardee’s, as official greeters with official aprons and/or Heat-Up canisters. 100% of combined funds will stay in the communities, where collected and will be for used utility assistance. Ameren and Hardee’s have underwritten administrative costs for this community-wide project, so 100% proceeds collected is used strictly for servicing the needy. The St. Louis radio and television stations and social media have been invited annually to provide live remote coverage throughout much of the 5:00 a.m. to 10:30 a.m. breakfast period, on February 9, (depending on the opening times, when some area Hardee’s may serve breakfast). Honorary Campaign chair, Tom Trotter stressed that the media plays a dynamic role in protecting the health and public safety interests of area needy households through the annual Hardee’s/Heatupstlouis.org regional fundraiser. This year, in addition to radio and TV media personalities, who were invited to be stationed at various MO/IL locations, other volunteer greeters, so far from the Heatupstlouis.org board of directors are scheduled to appear, like: Missouri State Treasurer Eric Schmitt; Missouri Deputy Public Safety Director Gregg Favre; St. Louis Mayor Lyda Krewson; St. Louis County Executive Steve Stenger; St. Clair County Chairman Mark Kern; Pamela R. Walker, Board President; St. Louis Charles County Steve Ehlmann; Michael Patrick McMillan, President/CEO, Urban League of Metropolitan St. Louis; Melanie DiLeo, Board Chairwoman; Board President Emeritus Lance LeComb; St. Louis Fire Chief Dennis Jenkerson, representing Fire Chiefs Association of Greater St. Louis (MO/IL); Tom Trotter, Operating Partner and Laurie Trotter of Pioneer Restaurants, LLC, (owner of area Hardee’s); Denise Liebel, Executive Director , United Services for Children; Rev. Earl E. Nance, Jr., Chair Emeritus, St. Louis Metropolitan Clergy Coalition; Board Chairman Emeritus J. Kim Tucci; and Brian Leonard, Director of Corporate Initiatives, Ameren Corp; Inc. Non-board members will include some MO/IL area municipal mayors, social service and community action agency volunteers; Michael Moehn, president and chairman, Ameren Missouri, and Fred Bird, St. Louis Cardinals mascot to name a few. Area groups and corporations can also go online now at www.heatupstlouis.org and register for the special offering of the pre-bulk breakfast sandwich purchases through Wednesday, February 7. 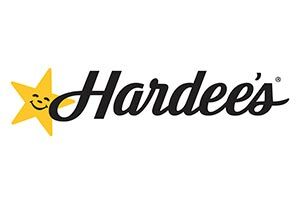 This year, because of the need being so great, Hardee’s will also expand its canister collection ONLY portion of the fundraiser through the weekend of February 10-11. In the past, the St. Louis region has experienced infant and senior deaths, often due to the unsafe use of space heaters. Earlier this winter there has been an escalation of fires throughout the St. Louis. Many fire officials’ investigations clearly pointed to unsafe methods of heating, relating to space heaters. The regional safety-net charity also encourages all rate-payers to make monthly payments on their utilities, even if they are seeking utility assistance, and especially when the winter weather is consistently above freezing. However, the requests to help Missouri and Illinois qualified seniors, disabled and low-income residents facing a lack of home heating, or a disconnection notice, continue to rise at a rapid pace, over the last several years. Heatupstlouis.org Vice Chair Dr. James Knight, also points out that a senior or disabled person’s health can be exacerbated by not having a primary consist warm home heating source. Even in a mild winter, many sections of the bi-state area have old housing stock, often with poor or no weatherization. Heatupstlouis.org supports an increasingly aging and low-income population area. As part of its mission, Heatupstlouis.org through many of its consortium partners also educates the public about safety, financial literacy, budgeting as well as energy efficiency and weatherization. “Being without a home heating source during this winter can trigger major health and safety issues for the most vulnerable, and Heatupstlouis.org often serves as that safety net providing supplemental or primary grants to thousands of qualified Missouri and Illinois residents, seniors and disabled people residing in St. Louis County,” said St. Louis County Executive Steven V. Stenger, and honorary co-chair. “In 2017, HUD and St. Louis County Planning department, provided $250,000 in utility grants to Heatupstlouis.org. All the funds have been exhausted to eliminate fall utility bills for hundreds of County residents, so they could face this brutal winter with less financial anxieties. Stenger, also said the strength behind this long-time regional charitable event are the 650 volunteers serving as official greeters, who encourage businesses and customers to give them tips, at the area (MO/IL) Hardee’s franchisee units. “Often about this time during a very harsh winter, various utility funding pots in the St. Louis region are exhausted,” said Michael Patrick McMillan, President and CEO, the Urban League of Metropolitan St. Louis. “Hardee’s Rise ‘N Shine for Heat’ fundraiser is a critical partnership with Heatupstlouis.org that has been a blessing for thousands of qualified seniors, disabled and low-income families throughout the bi-state area waiting in line for some sort of heating assistance.” McMillan is also a member of Heat-Up executive board and his agency partners with Heat-Up St. Louis. Monies collected as tips from volunteers positioned in the drive-thrus, menu boards, and restaurants along with canisters on the restaurant counters and proceeds from the Sausage ‘N Egg and Egg biscuit sandwiches will also stay in the respective city or county where collected. “Hardee’s and Heat-Up St. Louis have developed an incredible partnership over the past 18 years to help keep area seniors, people who are disabled, and low-income individuals warm and safe during the winter by paying their utility bills,” said St. Louis Mayor Lyda Krewson, and an honorary board chair of Heat-Up. “More than 6,775 volunteers and countless more customers have continued to help make the annual Rise ‘N Shine a major regional success because of their generosity. St. Louis City will make a significant grant announcement during the Hardee’s Rise ‘N Shine for Heat fundraiser, as well Ameren. The volunteers will all wear official Heat-Up/Hardee’s collection aprons and will accept tips from the customers, while referring them to Hardee’s employees to purchase specially priced Sausage and Egg biscuit or Egg biscuit sandwiches for $1 each. The public can also make tax-deductible donations through the charity’s secured website at: www.heatupstlouis.org, or by a check or money order to Heat-Up St. Louis, Inc., c/o UMB Bank, P.O. Box 868, St. Louis, MO 63188. 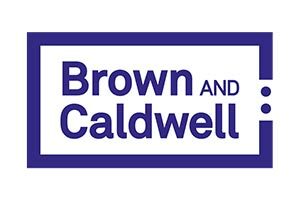 A direct donation is 100% tax deductible, as prescribed by law. Reverend Earl E. Nance, Jr. points to Heat-Up St. Louis funds as often, the only source of assistance in some parts of the St. Louis IL/MO region. LIHEAP, the federal program, qualifies certain income levels, and several other utility or government programs are used with a Heat-Up St. Louis, as a “bundle,” to re-connect services or stop a disconnection due to the size of the utility bill. However, of late, Heatupstlouis.org has become the primary source for utility assistance, for many needy families; putting a financial strain on its fundraising efforts. Since its inception, the 58 members, diverse, all-volunteer board of directors has impacted the lives of more than 365,000 persons and received more than $15.5 million in various small to large donations. The Board of Directors routinely underwrites, year-round all administration costs, so that 100% of public donations are used solely to provide utility assistance, public education and advocacy initiatives. The charity also operates a resource automated hotline, as well as on-line assistance through www.heatupstlouis.org. Ninety percent of requests for assistance comes from online.